Cyprus is an island boxed in on three sides by Turkey and the countries of the Levant. On the streets of its divided capital Nicosia, silence prevails, except for the tick-tack sounds coming from the tables of the city's backgammon players, who gather every day in the city's coffee shops. The players are mainly old Cypriots. Many of them were once members of militias during the civil war. As they play, they reminisce about their conflict. Both Turks and Greeks populate this third-largest island of the Mediterranean. They hardly ever shared the same coffee shops even in the past when they were living in mixed communities. Now, they are living completely apart as the island is divided between the Turkish and Greek sections separated by the green line, patrolled by United Nations peacekeepers who first came to the island nearly half a century ago. The game for the future of Cyprus, however, is coming to an end. The island's Turkish and Greek inhabitants will either unite or divorce. Where is Cyprus? What happens there? Find a rusty boat, tie a Palestinian flag to the mast, as a host of activists have done in the past year, and it is a short journey southeast to Gaza. The news media cannot get enough of Gaza, but they pay little attention to Cyprus. The civil war started in 1964 and ended ten years later after a Turkish military intervention that divided the island between the Turkish north and the Greek south. This was the last major event. Cyprus does not get into the headlines very often. But drama is not everything. In the days before headlines were invented, Cyprus played an important role in the eastern Mediterranean. Its geographical position, which controls the sea outlets of the Suez Canal, Israel, and Turkey, has always guaranteed a bipolar society and made it a testing ground where Western and Eastern norms come into conflict and are either resolved or erupt in communal violence. Cyprus, like Ireland, is a single island with two state entities and a history of violence between two communities. Only now, after decades of squabbling, war, and civil war, have fresh possibilities come on the horizon. Old hatreds between Greeks and Turks are gradually being superseded by a new source of identity through membership in the European Union. In 2004, U.N. secretary general Kofi Annan advanced an ambitious plan for reunification of the island alongside the option for EU membership. The plan eventually failed. The Turkish Cypriots supported it despite the fact that their leadership did not. Greek Cypriots, in contrast, showed they did not like the plan when three out of four voted against it. Five years later, as hopes of reaching a peaceful settlement seem to evaporate almost daily, there are two crucial questions. First, why did a well-crafted and authoritative plan fail? The answer may lie in the fact that there are more than two sides here: Greek and Turkish Cypriots, each with their own political parties, then their root nations, Turkey and Greece, and now the U.N. and the EU. Everyone has an opinion. The second question is about the future. Today, for the first time in the island's long, conflict-dominated history, two leaders are in power who have not had any involvement in intercommunal fighting. On the contrary, their political pasts have been marked by an absolute commitment to a peaceful settlement. They resumed full-fledged talks in September 2008, raising hopes. However, after a series of negotiations, the picture is not bright even though they are aware that this is the last chance to reach a deal. Still, their positions closely resembled those of their nationalist predecessors. The window of opportunity is closing fast. This article is an attempt to analyze the plan and the impact it has had on all the players. It will also examine possible ramifications of the success or failure of intercommunal talks. As Cyprus comes of age, some possible directions for the island have to be discussed. Rauf Denktaş, pictured above, was the leader of the Turkish Republic of Northern Cyprus from 1976 to 2005. Only Turkey and the Organization of the Islamic Conference recognize the republic as an independent state. During his term, Denktaş argued that EU accession would mean indirect annexation of Cyprus by Greece and opposed the Annan plan for reunification of the island. Do Cypriots face a stalemate in their political life? Can they find a way to take their island out of its isolation and into a wider political arena? Kofi Annan's plan to reunite Cyprus was initiated in 2002, but its 2004 version was in the end rejected by both the Greek and Turkish Cypriot leaders. In the 2004 referendum, 75 percent of Greek Cypriots voted "no" to the Annan plan while the Turkish Cypriots initially voted in favor. Ironically, Greek Cypriot accession to the EU was slated for May 1, 2004, one week after the referendum. Rauf Denktaş, president of the Turkish Republic of Northern Cyprus, had argued that the island's EU accession would mean its indirect annexation by Greece. Disappointed by the Greek vote, Turkish Cypriots changed their minds about the Annan plan. According to a 2007 poll, 65 percent of Turkish Cypriots said they preferred two separate states instead of a united Cyprus. The plan was the result of direct talks from June to October 2002 and long negotiations between Turkish and Greek Cypriots. The two leaders, Denktaş and Glafkos Clerides, negotiated on the issues of security, territory, citizenship, the legislature, the executive of the common state, and the role of the president in a rotating presidency. They were unable to reach agreement on any of these issues. Local attitudes trumped international concerns. Annan outlined the plan in a 138-page document and gave Clerides and Denktaş one week to accept it as a basis for final negotiations. He wanted to submit his plan to twin referenda on March 30, 2004, just before the Republic of Cyprus was expected to sign an accession agreement with the EU, and he hoped that the short deadline would provoke Turkish Cypriots to support the plan since it was feared that their rejection would make the division permanent. Another hope was to unite Cyprus just before accession to the EU. The plan incorporated all the important milestones, principles, and agreements reached by the two sides, and offered the most comprehensive scheme ever to address the Cyprus question. The Foundation Agreement. The Foundation Agreement, Appendix A of the plan, established a new administrative system in line with the Greek Cypriot desire for a new state of affairs—as opposed to the new state for which the Turkish Cypriots longed. Whereas the Turkish vision of partnership states would have created a new entity to replace the Greek Republic of Cyprus, under the Annan plan, the republic would continue to exist but with a transformed structure. Article 2 of the Foundation Agreement provided for the United Cyprus Republic, an independent and sovereign state with a single legal personality and a federal government with two component states based on an indissoluble partnership. This republic was to be a member of the United Nations and of the European Union. The 2004 Referendum. Both the Annan plan and the proposal of EU membership for what was to be the United Cyprus Republic were to be put to referendum on March 30, 2004, just before the April 16 EU Accession Treaty was to come into force. As a result of the referendum, however, the split between the two communities continued. Turkish Cypriots became suspicious. Did their Greek counterparts want to live and work with them or did they want to reduce the Turkish Cypriot status from community to minority? The proposed Republic of Cyprus was to be a bi-communal state based on the equal political representation of Turks and Greeks. That equality was to be maintained regardless of the fact that Turks made up only about 18 percent of the island's population. "Community" is a loaded political term that represents equal status for Turkish Cypriots. "Minority," in contrast, represents a lesser status. For Turkish Cypriots, a major reason for supporting the Annan plan was a belief that it would spell an end to their isolation. Mehmet Ali Talat, now president of Turkish Cyprus, promised his people that voting "yes" would link them to the outside world. At the same time, he said they would resume their political status as an equal partner community in the new state, along with the Greeks. To Turkish Cypriots, the Annan plan appeared in a more positive light, as an arrangement that would help break the 30-year diplomatic stalemate and enable northern Cyprus to enter the EU and link itself directly to the outside world. Normalization would free the north from sometimes antidemocratic and incompetent interference from Turkey. Such interference took place, for example, after the September 12, 1980 coup d'état in Turkey. In August 1981, the Turkish government sent their minister of foreign affairs, Ilter Türkmen, to the island. The purpose of his visit was to hinder the formation of the Turkish Cypriot cabinet that included members of the left-wing opposition. On November 15, 1983, the Turkish Republic of Northern Cyprus was proclaimed, but the U.N. Security Council immediately annulled its status as an independent state and only Turkey and the Organization of the Islamic Conference recognized it, leaving the Greek-controlled Republic of Cyprus as the only legitimate authority on the entire island. Turkish Cypriots had previously founded the Turkish Cypriot Federate State in 1976, which survived for seven years. During this period, the "federate" state concept served to indicate that the Cypriot Turks were committed to a bi-communal federal state. This state was to be founded between Turks and Greeks as agreed on in the 1977 and 1979 high-level agreements created under the auspices of the U.N. However, independence was declared in 1983 for mainly domestic reasons: to weaken the opposition and to remove the term limits clauses from the new constitution that restricted President Denktaş to two terms. This allowed the Turkish authorities to use Denktaş to support the Turkish bureaucracy and to suppress political rivals. Northern Cypriot politics were consolidated under center-right control within the next two decades. Internationally, independence was presented as the right to self-determination for Turkish Cypriots, an idea that was not endorsed by the international community and the United Nations. Because Denktaş had not wanted to put the Annan plan to a referendum, trade unionists set up ballot boxes against his wishes to try and determine Turkish Cypriots' views on the Annan plan. This was a symbolic act, but it helped persuade world public opinion that Turkish Cypriots were in favor of the plan. At the same time, the Turkish Cypriot government, now under the leadership of Mehmet Ali Talat, planned to develop good relations with Turkey's pro-Islamist Justice and Development Party. The main aim of Talat's visits to Europe and the United States before and after the referendum was to express Turkish Cypriot support for the Annan plan and a U.N.-based solution to the Cyprus problem. His visits have also helped Turkey in its negotiations for EU membership. Proposals Arising from the Annan Plan. Foreign aid is meaningful when it is aimed at developing and modernizing a country's economy. In the past, temporary and speculative investments have been more common in Cyprus than long-term ones. There have been improvements in education and tourism, but this has not been due to a general policy—rather, it is limited to certain institutions and has been accomplished because of their individual efforts. The fact that northern Cyprus still lacks a serious economic policy undercuts its achievements. Cypriot parties which support unification must advance new policies that seek to defuse the atmosphere of antagonism. A promising move would be to empower local initiatives that help foster intercommunal trust and cooperation. The Annan plan can be allowed to evolve slowly as Cypriots build lasting peace. Such a peace must be established by internal means and not by foreign aid and support. Greek Cypriot politicians often utilize the rhetoric of another Turkish military operation, fueling long-standing Greek Cypriot fears that Turkey would invade the entire island. The Turkish side, in contrast, claims that it has no ambition to control Cyprus as a whole, arguing that Turkey could have done so in 1974 when the Greek defense collapsed. That is why the Turkish military in Cyprus is labeled a "peace force" by the Turks while for Greek Cypriots it is simply a large occupation force. Demilitarization. In order to achieve demilitarization, Cypriots will have to organize a serious counter-movement to the British sovereign bases at Akrotiri and Dhekelia. While the goal should be the removal of the British bases in Cyprus, the expulsion of all foreign powers from the island is worth planning for. These powers include Turkey, Greece, Great Britain, and the United States (which uses the British bases for logistic, humanitarian, and intelligence purposes). Around 40,000 Turkish troops are stationed in the Turkish controlled area. Similarly, an unknown number of Greek soldiers serve as advisors in the Greek Cypriot National Guard, the republic's land, air, and naval force. Since 1964, U.N. troops have served as peacekeepers. After a settlement, any foreign military presence on Cyprus would be minimized or eradicated. Indifference and ignorance about southern Cyprus reign in Turkey. If reconciliation is to be successful, should Turkey not revise its traditional policy of dividing the island and develop a new way forward? On April 23, 2003, the administration of Turkish prime minister Recep Tayyip Erdoğan authorized the opening of the border gates in Cyprus, and the Turkish Cypriot government announced the decision. No one hoped for an immediate peace, but the decision encouraged a new attitude among the two communities. Although the Turkish Cypriot administration formally denounces the existence of Turkish patronage, many speculate that Cyprus-related decisions are either made in Ankara or that Ankara has to approve all decisions made in Turkish Cypriot politics. Either way, it is clear that the Turkish Cypriot administration makes few decisions without either basing them on Turkish National Security Council resolutions or consulting Ankara before making any serious public announcement regarding Cyprus. Poverty and Turks in northern Cyprus. The process that started when the border gates opened has sparked new debates in Cyprus from the Greek point of view about issues such as poverty in the north and the situation of immigrant Turkish citizens there. As an unrecognized state, northern Cyprus has been under international embargoes, which have caused economic problems. The poverty and economic backwardness in the north are critical issues for a united Cyprus. Before the Annan plan was developed, poverty in the north had been seen by Greek capitalists as a source for cheap labor. Salaries in the north were only half of those in the south. Moreover, consequent financial crises and complete dependence on Turkey for foreign aid and commerce made the Turkish Cypriot economy weak and unreliable. Ironically, salaries in Turkish Cyprus were higher than those in Turkey, and this created a flow of illegal immigrants seeking jobs in the north, creating a series of cultural, social, and economic problems. Linking the Cyprus problem with EU membership went against Turkish interests at first, but before long it turned against the Greeks as well. Although Turkey plays a proactive role in Cyprus because it wants to ease relations with the EU, the Greek Cypriots have assumed that it would behave in its customary manner, which means it would prove both passive and conservative. This created a serious problem for the Greeks. Ahmet Davutoğlu, the brains behind Turkey's support for the Annan plan, said that Turkey's policy was to pursue a "zero problem" approach, meaning that Ankara would solve any problems it had with its neighbors. Of course, this would mean that any continuation of the Cyprus problem would be entirely the fault of the Greeks. Hellenic nationalists see themselves as the natural owners of the island. Before Annan, the division of Cyprus served to unify the Greek community. Some Greeks in Cyprus consider the Annan plan a fait-accompli, but they are apprehensive that it will divide the island permanently and will be responsible for an injustice if it gives both Cypriot and EU citizenship to Turks who came to the island in the wake of the 1974 invasion. There were several unsatisfactory aspects of the Annan plan, particularly for Greek Cypriots. These included the continuation of Turkey's military status; the acceptance of citizenship in a United Cyprus Republic for anyone who had migrated to the north from mainland Turkey after 1974; and, lastly, the fact that not all of the 168,000 Greeks who were forced to migrate from the north to the south in 1974, would be able to return to their homes. This is why the Greek community said no to the Annan plan. 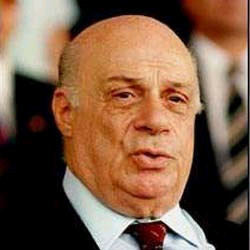 The then-Greek Cypriot president Tassos Papadopoulos (d. 2008) said he had taken over a state and could not now accept a community. If being a "community" and not a "minority" is a crucial demand for Turkish Cypriots, "controlling the state" and not being a "community" is essential for Greek Cypriots. Cyprus has twenty or so political parties. The Greek Cypriot communist party, AKEL, which has always tried to maintain close contact with Turkish Cypriots, worked for postponement. Greek Cypriot communist demands for a U.N. and EU guarantee for the implementation of the plan are significant. Most Greek Cypriots (communists included) were unsure that Turkey would implement the Annan plan. However, a call for a guarantee can be seen as a maneuver for turning public opinion in favor of the plan. In an April 2004 article, Turkish journalist Hasan Cemal accused Greek Cypriot communists of being liars. It seems correct to presume that AKEL's search for a guarantee on behalf of the Greek Cypriots is sincere although it might have been better if they had conveyed this during negotiations. In any case, it is likely that the Turkish Cypriots may themselves demand some guarantees from the U.N. and EU. The "yes" campaign was initiated in the south one week before the referendum by the leader of the right-of-center Democratic Rally Party (DISI) and the former Greek Cypriot president, Glafkos Clerides. It had some remarkable features. The warning that Cyprus would be divided encouraged Greek Cypriots to vote "yes." On the other hand, communist party willingness to revise its position in favor of postponing the referendum prompted some Greek Cypriots to vote "no." A general election was held in northern Cyprus on February 20, 2005, less than two years after the December 2003 elections. The formerly leftist but now center-to-left Republican Turkish Party (RTP) and United Forces (CTP-BG) greatly increased their total, receiving nearly 45 percent of the votes. The biggest story of the election was CTP-BG's ability to take advantage of the gap that had been formed on the political Left. Turkish Cypriots were looking for political innovations and freedom, and the Turkish Cypriot Left took advantage of this. Votes for the leftist coalition increased in large measure because of their proposals for reconciliation and European Union support for the party's positions. In the municipal elections in June 2006, the party used the slogan, "It's time to speak a language understood by Europe," but it was unable to explain the meaning of this to the electorate; politically speaking, it has not adopted any different policies. On October 5, 2006, a left-wing coalition formed a pro-settlement new government. In the post-referendum period, the left-wing parties have come to understand the impasse they came up against, but they have not produced alternative policies. Despite the failure of the Annan plan, the northern Cypriot parties have no choice but to continue their intricate relationship with the West. With respect to the Annan plan, the state parties have consulted nothing but their own interests. They have not paid sufficient attention to the priorities of the two communities in Cyprus. As a result, they have not implemented the plan and now find themselves confronting a serious failure. In addition, those responsible for this failure are looking at events from one angle and are making mistakes when they try to analyze the failure of the Annan plan. Particularly, the sterility of European thinking in regard to the Cyprus problem and the inability of the EU to come up with alternative solutions indicate how difficult it is for Europe to become a powerful actor in international politics. The EU's attitude toward Cyprus has not only been an exercise in passing the buck rather than moving toward a solution, it has also caused a hardening of the existing divisions between the communities. This scenario teaches that in Cyprus, as in so many other conflicts, realistic solutions must arise from the parties themselves, instead of being imposed by foreign powers. Turkish Cyprus's many socioeconomic and cultural problems cannot be solved only through the government's courting Western powers. Rather, if Western powers establish economic and cultural relations with northern Cyprus, this will help remove the isolation of Turkish Cypriots without formalizing recognition of north Cyprus as a state. In the past, such an alternative was not even considered possible. However, as the Cyprus issue is becoming less of a concern for the international community, establishing economic and cultural relations with northern Cyprus (without recognizing it as an independent state) seems to be a more likely alternative. This, in turn, may help on the way to the "Taiwanization" or even "Kosovoization" of northern Cyprus. Kosovoization here refers to a gradual formalization of independence without full legalization. This was how the veto powers blocked the U.N. in the case of Kosovo, annulling each other's position either to recognize or not recognize its declaration of independence. Certainly, there are a number of U.N. Security Council resolutions against the independence of the Turkish Republic of Northern Cyprus. However, Turkish Cypriots may still gain their independence bilaterally, by gaining support from at least some of those countries that are prepared to recognize their state. This could happen if a similar double veto were to create a deadlock in the U.N. after one of the permanent members uses their veto power in favor of the Turkish side. It should be remembered that even Taiwan is recognized by twenty-three states. If that were to happen, the Turkish Cypriot State would be independent, but not a member of the U.N., exactly like Kosovo. The Greek Cypriot perception of the current situation still underestimates the strength of Turkey. Since 2002, Turkey's new "zero problem" approach has gained momentum while the Greek Cypriot leadership continues to act as if Turkey is still pursuing old policies. In reality, however, Turkey is treating the Cyprus issue as part of its general foreign policy strategy of reducing tensions in its surrounding areas. Despite this, it is tempting to observe that Cyprus has a model from which to learn. Throughout the thirty years and more of civil strife in northern Ireland, the pro-U.K. Protestants and their paramilitaries doggedly refused overtures from a majority of Irishmen to let their enclave become part of the southern republic. When the unrest began in 1968, the Protestant position seemed not unreasonable. But years later, the republic had moved from its early agriculture and church focus to become one of the strongest economies in the world while the north remained a severely neglected part of the U.K. The secret of the republic's success was its willingness to move wholeheartedly into the EU and to use it as a vantage point from which to obtain massive subsidies and concessions. For Cypriots, EU access holds out similar possibilities. But they must opt to enter the EU wholly independently of what Turkey or Greece does or thinks. The old Cypriots have thrown their last round of dice. If they win, Cyprus will be united and will enjoy all the advantages of being a member of the EU. However, if the game is lost, it will be time for the old men to leave the coffee house in order to let a new game begin. This time, the end of the negotiations game will not be peaceful unification, but peaceful separation. In either case, a new era for Cyprus will begin. Mehmet Hasgüler is an associate professor of international relations at Çanakkale Onsekiz Mart University in Turkey. Murat Tüzünkan is an assistant professor in the department of international relations, Cyprus International University. Zaman (Istanbul), Apr. 22, 2004. Milliyet (Istanbul), Jan. 30, 2007. Poll conducted by the Cyprus Social and Economic Research Center. "Basis for Agreement on a Comprehensive Settlement of the Cyprus Problem," Feb. 2003, accessed July 5, 2009. "A. Foundation Agreement," Annan Plan, Bürgenstock, Switzerland, Mar. 31, 2004, accessed, July 17, 2009. "EU Accession Treaty—Protocols on Cyprus," Cyprus Press and Information Office, accessed July 17, 2009. Necmiye Uçansoy, "Kıbrıs Dosyasi, Annan Planı," Sabah (Istanbul), accessed July 17, 2009. Ulus Baker, "Kıbrıs: Yüzeydeki Çatlak," Birikim, Sept. 1995, pp. 12-7; Ercüment Yavuzalp, Kıbrıs Yangınında Büyükelçilik (Ankara: Bilgi Yayınevi, 1993), pp. 139. Özker Özgür, Kıbrısta Demokrasi Bunamımları (Istanbul: Cem Yayınevi, 1992), p. 53; Arif Hasan Tahsin, Geçmişi Bilmeden Geleceğe Bakmak (Lefkoşa: Işık Yayınevi, 1993), p. 68; author interview with Alpay Durduran, former chairperson of the Communal Liberation Party, Aug. 18, 1998. U.N. Security Council Resolution 541, Nov. 18, 1983; U.N. Security Council Resolution 550, May 11, 1984; United Nations Security Council and General Assembly Resolutions on Cyprus: 1960-2006 (Nicosia: Ministry of Foreign Affairs of the Republic of Cyprus, 2006), pp. 87-8, 90-1; Kudret Özersay, Yeni Uluslar arası Mahkeme Kararları Işığında Kıbrıs'ı Yeniden Okumak, (Ankara: Imaj, 2009), pp. 24-35. Özgür, Kıbrısta Demokrasi Bunalımları, p. 53. Ahmet An, Küçük Adada Büyük Oyunlar: Kıbrıs'ta Ayrılıkçılık, Federal Çözüm ve AB Üyeliği (Istanbul: N.K. Yayınları, 2004), pp. 127-45. Hasan Erçakıca, "Türkiye'ye Karşı Kıbrıs'ta Hak Alabilmek Münkün mü?" in Annan'ı Anla da Gel- Politik Yorumlar (Girne: Freebirds Yay, 2007), pp. 17-9. "Cumhurbaşkanı Talat'ın ABD Ziyareti," Turkish Republic of Northern Cyprus Information Agency, press summary, Sept. 25, 2005; "Başbakan Talat AB Komisyonu Üyesi Verhaugen ile Görüştü" TRNC Information Agency, press summary, June 11, 2004. Ferit Murat Özkaleli, "Talking Turkey: Deictic Discourse Analysis of Turkey's EU-Cyprus Crisis," presented at the Annual Conference of the American Political Science Association, Washington, D.C., Sept. 1, 2005, pp. 2-3, 6-7; Alekos Konstantinidis, Lukas Y. Haralambus, and Reşat Akar, Kıbrıs'ta Bölünmüşlük Sürerken (Nicosia: Cyprus Dialogue, 2006), pp. 154-5, 182-3. Başaran Düzgün, Bir Tarihin Tanığından: Pilatus'un Gölgesinde (Lefkoşa: Baskı ve Yayımcılık Ltd., 2008), pp. 20-1. Hasan Erçakıca, "Türkiye ile Kıbrıslı Türkler Dayanışmak Zorundadırlar," in Annan'ı Anla da Gel- Politik Yorumlar (Girne: Freebirds Yay, 2007), pp. 103-5. Angelos Kalodukas, "Kıbrıs Sorunu: 2. Dünya Savaşı'ndan Annan Planı'na," in Masis Kürkçügil, ed., Kıbrıs: Dün ve Bugün (Istanbul: Itaki, 2003), pp. 91-5, 110-4, 123-30. "Dişişleri Bakani Davutoğlu Washington'da Konuştu: 'Model Ortaklik Tercih Değil Gereklilik,'" Turkish Prime Ministry Press and Publishing Office, Washington, D.C., June 3, 2009. Kypros Chrysostomides, Kıbrıs-Önümüzdeki Yol (Nicosia: Kıbrıs Siyasal Araştırmalar ve Avrupa Sorunları Enstitusu, 2006), pp. 63-8. Themos Dimitriu and Sotiris Vlahos, Ihanete Uğramış Ayaklanma (Ankara: Arkadaş, 2009), p. 161. Kalodukas, "Kıbrıs Sorunu: 2," pp. 78-9. Dimitriu and Vlahos, Ihanete Uğramış Ayaklanma, pp. 135-7. Hakkı Yücel, "KKTC: 20 Subat Seçimlerinin Ardından," Birikim Review, Mar. 2005, pp. 13-7. Bülent Fevzioglu, Kıraathane-i Osmani'den Cumhuriyet Meclisi'ne (1886-1996): Olaylar ve Seçimler/Seçilenler (Mağusa: Turkish Grand National Assembly-Turkish Republic of Northern Cyprus Assembly, 1998), pp. 144-56. AFRIKA (Nicosia), Mar. 1, 2007. Özdemir Özgür, "The Cyprus Question after the Referenda: Turkish Cypriot Views," Colloquium on Cyprus Today. After the Annan Plan: Considerations, Views, Thoughts, Reflections, Perspectives and Similar Questions, Greek Ministry of Foreign Affairs and the Foundation for International Legal Studies, Athens, June 3, 2004.